Anyone who bet £20 on Leicester City FC winning the Premier League at the start of the season just won £100,000 ($145,877) on Monday, according to betting company Ladbrokes. The club claimed the title after Tottenham drew with Chelsea on Monday night. Ladbrokes told Business Insider that there were 47 bets on Leicester winning the league at the start of the season, each with odds at 5,000/1. Of those 47 bets, 24 still stood. Other bets still riding included a number of £10 and £5 gambles, which won £50,000 and £25,000 respectively. 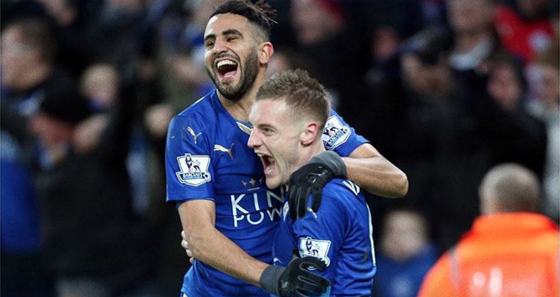 Ladbrokes said it will pay out around £3 million as a result of Leicester winning the title. “We have been taking bets for 130 years and we have never ever seen anything come even close to this,” a Ladbrokes representative told Business Insider. “It’s rare to see a 5,000/1 shot and even rarer to see one even have a slim chance of winning. This is unprecedented and there are no comparisons whatsoever. 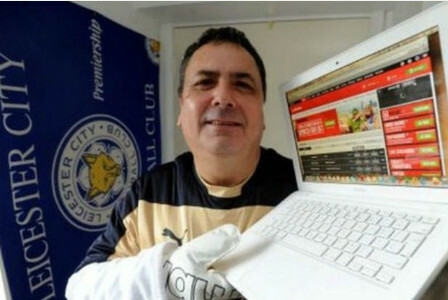 A Leicester City fan who stood to make £100,000 if they won the Premier League has accepted £29,000 from the bookies – because he couldn’t enjoy watching them play. John Pryke, 59, from Leicester Forest East, placed the speculative £20 bet on a whim with Ladbrokes last August after “fancying the look” of the 5,000-1 odds. The Foxes are now sitting three points clear at top of the league with just ten games to play. But he has decided to cash in the bet and accept £29,000 from the bookies – meaning he will lose a whopping £71,000 if they win the league. Despite facing a big loss, John, who runs a care agency with his wife Julie, 55, said he will still be celebrating if Leicester clinch the title. The dad-of-three, who has been supporting Leicester for over 45 years, said: “I put the bet on before the season as a laugh but the nearer it gets to the end of the season the more I’m thinking about the money and less about the team. “I couldn’t bear it any more so before the West Bromwich Albion game I called Ladbrokes to see how much they would give me if I cashed in the bet early and they offered £16,000. “I said no but after the last match Ladbrokes upped their offer to £29,000. “It was like being on Deal or No Deal and I just thought to myself that £29,000 isn’t a bad return on £20 but if I walk away with nothing I’ll be kicking myself. “I want to enjoy watching the team for the rest of the season and I don’t want the thought of the money niggling away spoiling my enjoyment. “My wife said the money will be going towards a new kitchen and doing the floors out of our house. My son didn’t want me to cash it in but it’s my decision at the end of the day. In fact, John also faces picking up an extra £4,000 if Leicester finish in the top three after placing a £10 bet on 400-1 odds. Whoever this betting coupon belongs to, well done! William Hill have proudly shown they’ve been taken to the cleaners by one phenomenal bet last weekend. One punter turned a £1 bet into a life changing £181,570.50. The winner managed to earn a small fortune by correctly predicting the outcome of a 16-fold acca. The bet included matches played in five countries: England, Spain, Italy, Germany, Portugal and Belgium. On the English based games, the punter correctly picked Tottenham to beat Colchester, Arsenal to beat Burnley and Man City to win at Aston Villa inthe FA Cup. The punter also correctly picked away wins for Watford, Bournnemouth, Bilbao, Schalke, Porto and Standard Liege. See the full betting card below. Banker– A bet which comes in 90% of the time. Bet Slip or Slip – The form in which you place your bet selections. Doing An ‘Arry– When a manager strenously denies that he’s about to move to another club and then moves to said club. Doing A Keegan– When a manager quits because the pressure is too much. Evens – a bet whereby your winnings are the same amount of your stake therefore doubling your stake. 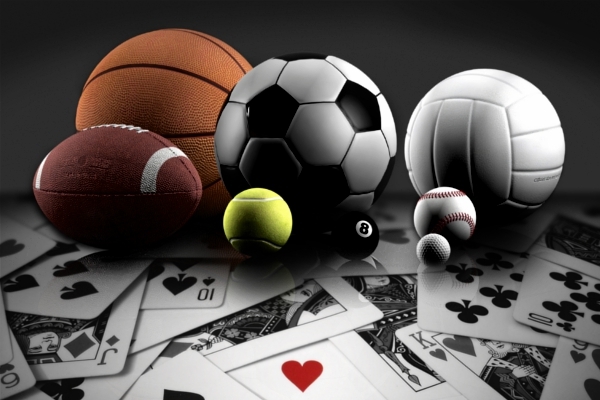 Fixed Odds Betting – The traditional way to place a bet whereby you bet on a definite outcome, whose odds are determined at the time of placing the bet. Gutted– Being extremely upset after losing a bet. Going Long (sometimes known as buying) – a spread betting term meaning the predicted outcome will be higher than the bookmaker’s prediction. Going Short (sometimes known as selling) – a spread betting term meaning the predicted outcome will be lower than the bookmaker’s prediction. Green book (a.k.a All Green Book) – This is when an all winning situation is achieved on betting exchanges such as ; for example betting on a football match and winning regardless of the outcome. All the figures written by the results are written in green, signifying a win. Hedging a bet – Covering another outcome on the same event when the odds are favourable, for example betting on Team A to win at 2/1 then taking a later price to bet against Team A at 2/1 or better. (This is usually possibly by betting in-play). In-Play Betting – Placing bets whilst a game is taking place, the amount and type of bet will vary from bets done before the match. Line- Another term for an Accumulator bet. New Manageritis – When a team wins a game after a long winless streak, after hiring a new manager. Odds – The method in which a bookmaker uses to calculate your potential winnings. Old Strikeritis – When a striker goes back to the club that sold him and scores. Odds On or Short Odds – odds that will give you winnings smaller than your original stake. Over (Middlesbourghing) the pudding – betting on a team (in this case Middlesborough) too many times in a selection of accumulators. For instance doing 3 seperate lines of accumulators and betting on Middlesbourough in all three. Robbed Off – Being denied a bet in the last minute (usually by the referee). Reach For The Stars Line – A selection of bets that’s between fairly and extremely unlikely to happen, (this bet is usually accompanied by the singing of S Club 7′s hit ‘Reach For The Stars’. 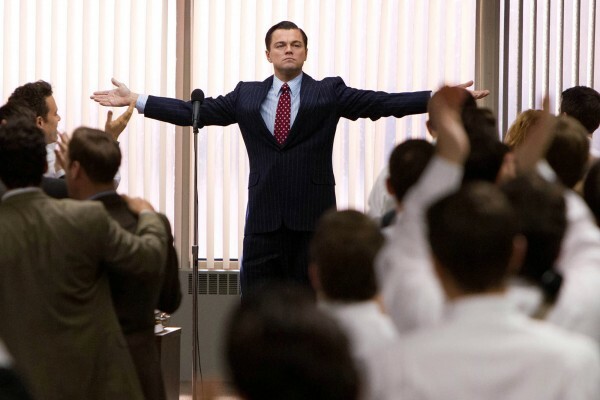 Return – The total amount of money you get back from a bet. Selection – An individual bet. Spread Betting – A type of betting whereby instead of betting on a definite outcome you bet on a spread of outcomes. Stake – The amount of money you initially put on a bet. Winnings – The amount of profit you’ve made on a bet (Winnings = Return – Stake). A Single is a bet on 1 selection in one event. A Scorecast is a bet predicting the scorer of the 1st goal and the correct score after 90 minutes in a football game. A Double consists of 1 bet involving 2 selections in 2 different events. Both bets must be successful to get a return. A Treble consists of 1 bet involving 3 selections in 3 different events. All 3 must be successful to get a return. A Four-Fold/Accumulator consists of 1 bet involving 4 selections in different events. All 4 must be successful to get a return. A Five-Fold/Accumulator consists of 1 bet involving 5 selections in different events. All 5 must be successful to get a return. A Six-Fold/Accumulator consists of 1 bet involving 6 selections in different events. All 6 must be successful to get a return. A Seven-Fold Accumulator consists of 1 bet involving 7 selections in different events. All 7 must be successful to get a return. An Eight-Fold Accumulator consists of 1 bet involving 8 selections in different events. All 8 must be successful to get a return. A Nine-Fold Accumulator consists of 1 bet involving 9 selections in different events. All 9 must be successful to get a return. A Ten-Fold Accumulator consists of 1 bet involving 10 selections in different events. All 10 must be successful to get a return. Now we come to a selection of multi-bet accumulators whereby you don’t have to get all of your selections correct to get a return, this is because your stake is split up by the same amount of bets you’re putting on. So if we take the ‘Lucky 15′ for example you have to choose 4 different games. Let’s call them G1, G2, G3 and G4 if you put £15 pounds on a ‘Lucky 15′, then your stake is split up into 15 equal parts of £1, making 15 different bets. So you are putting 4x£1 on 4 singles G1, G2, G3, G4. Then you are putting 6x£1 on 6 different doubles G1-G2, G1-G3. G1-G4, G2-G3, G2-G4, G3-G4. Next you are putting 3x£1 on 3 different trebles; G1-G2-G3, G1-G2-G4, G2-G3-G4. And last but not least you are putting £1 on 1 four fold G1-G2-G3-G4. So in a Lucky 15 where you chose Arsenal & Luton Town to win Chester City to draw and Manchester City to win, if Arsenal and Luton Town did win you would have 2 singles and a double so if Arsenal were evens you would win back £2 from that single if Luton were 2/1 you would win back £3, then you would have £1 going on the double so £1 @ evens = £2 going on to Luton @ 2/1 = £6, plus your £5 from the singles would make £11 return. As a general rule 2 results will just about get your money back, 3 means you’ve made a small to medium profit, depending on the odds of each selection and all four and you’re in the money! A Trixie consists of 4 bets involving 3 selections in different events. The bet includes 3 doubles and 1 treble. A minimum of 2 of your selections must be successful to get a return. (This type of bet is more often used in greyhound and horse racing). A Patent consists of 7 bets involving 3 selections in different events. The bet includes a single on each selection, plus 3 doubles and 1 treble. Just one successful selection guarantees a return. (This type of bet is more often used in greyhound and horse racing). A Yankee consists of 11 bets involving 4 selections in different events. The bet includes 6 doubles, 4 trebles, and an accumulator. A minimum of 2 of your selections must be successful to get a return. (This type of bet is more often used in greyhound and horse racing). A Lucky 31 consists of 31 bets involving 5 selections in different events. The bets include 5 singles, 10 doubles, 10 trebles, 5 fourfolds and an accumulator. A Lucky 63 consists of 63 bets involving 6 selections in different events. The bet includes 6 singles, 15 doubles, 20 trebles, 15 fourfolds, 6 fivefolds and an accumulator.